This is an acrylic painting on gallery wrap canvas with painted sides, and requires no frame. This painting measures 11″x 14″. 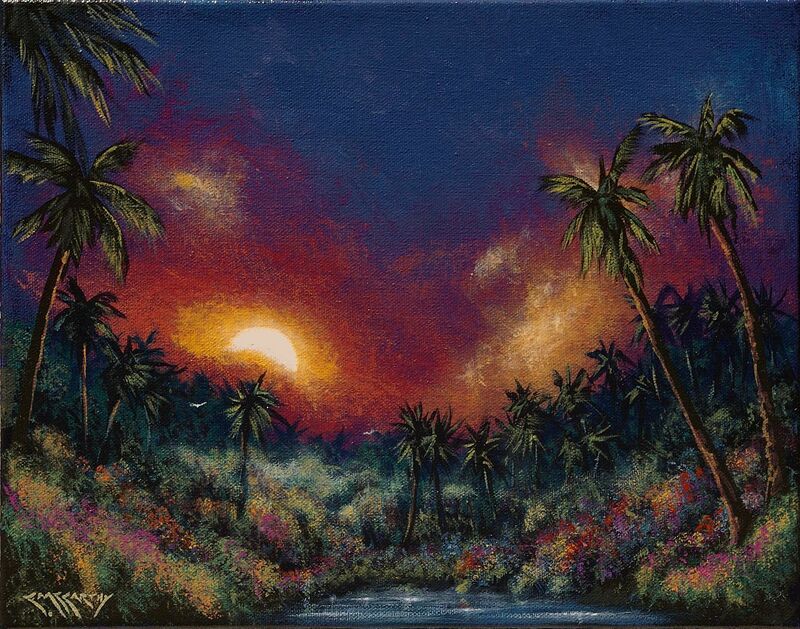 This is a painting of a coastal jungle somewhere in central Florida. Jungle flora flourishes as waterfowl take to the air while the sun rises up through the morning mists in this small painting, which is being sold unframed.